By Mikaela Louie, Alzheimer’s Advocate and Board Member for the Alzheimer’s Association Washington State Chapter. 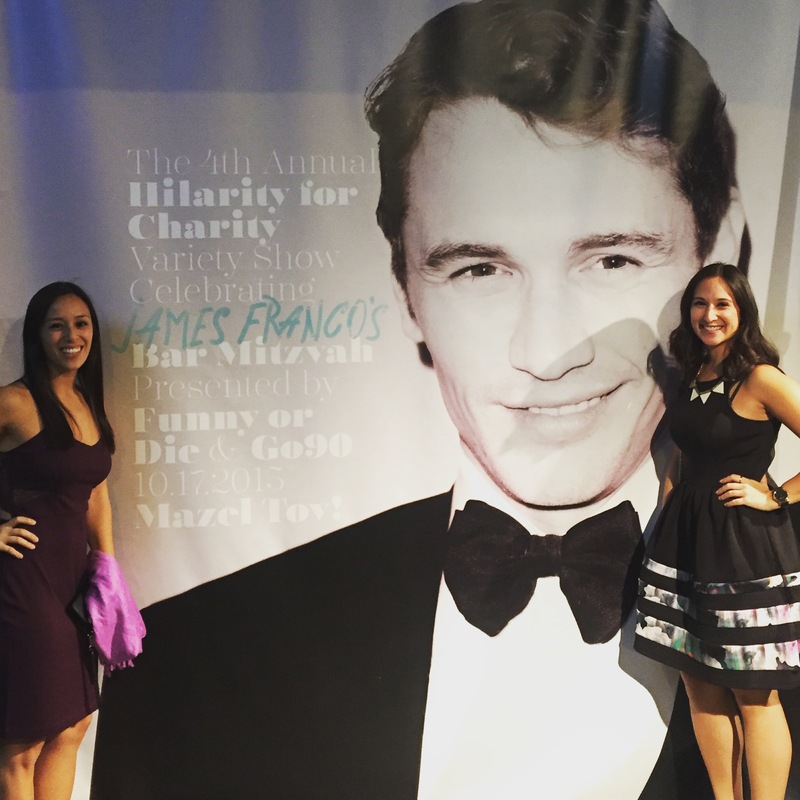 When I found out about Hilarity for Charity’s James Franco’s Bar Mitzvah event, it was already sold out. I really wanted to go, mostly because of the theme – my family is Jewish – so I thought I’d give it a shot. I participated in the Hilarity for Charity sponsored “virtual support group” pilot, Caregivers Under 40 Google Hangout, and had met Seth and Lauren Rogen during one of our sessions. I reached out to our virtual Support Group Facilitator from the Alzheimer’s Association, she worked some magic and somehow got me and my sister tickets at the last minute! We had a fantastic time. It had double meaning and joy for us as caregivers and Jews. lt almost felt like a real Bar Mitzvah! When we got there, I assumed we would be way in the back, but we actually got to sit in the “laugh pit” right in front of the stage. The opening number was from Fiddler on the Roof, and the band HAIM performed Hava Nagila for the Hora. 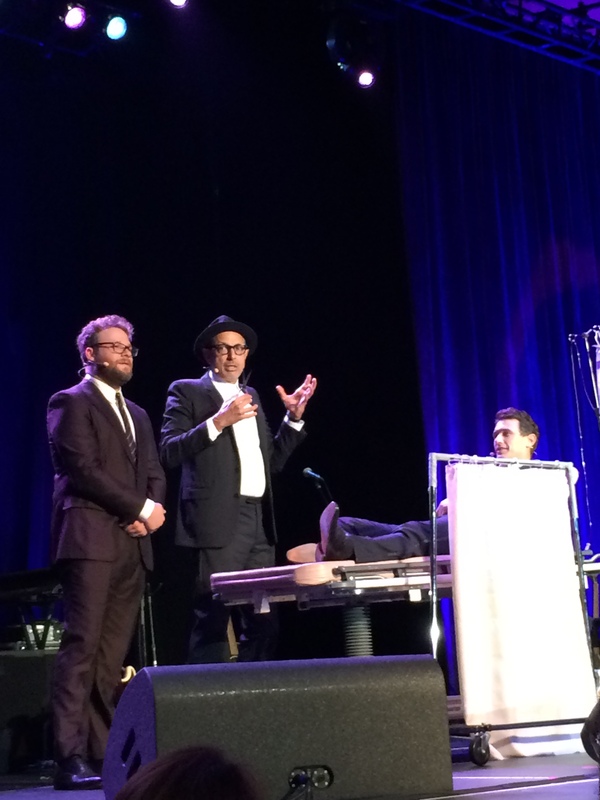 James Franco gave a “Torah portion” speech and was circumcised by “Rabbi” Jeff Goldblum. And, I’m sure many people saw, Miley Cyrus wore the Star of David. were not connected to the Alzheimer’s world. Even though it was a comedic show, they produced an inspiring video and Lauren Miller Rogen spoke with passion. A woman whose husband was diagnosed at 30 years was also invited to speak, and she was incredibly moving. It’s garnered a lot of media attention. 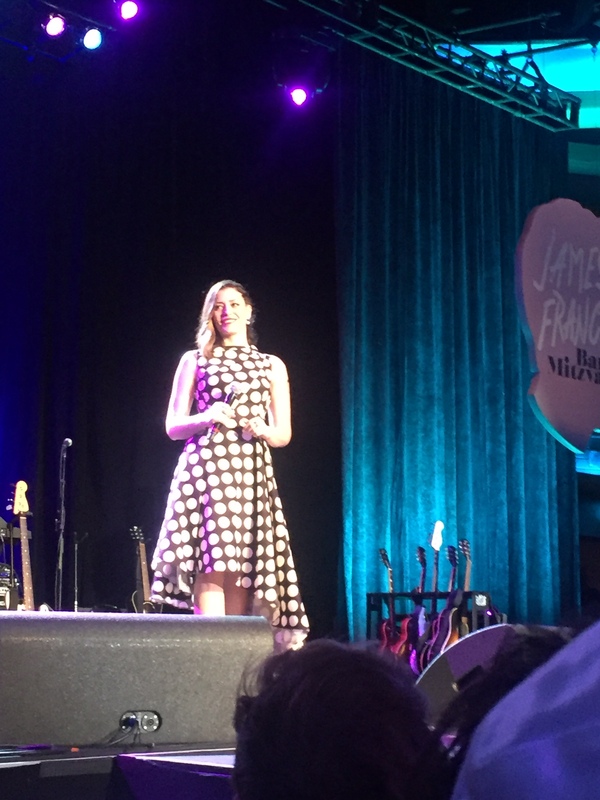 So along with the $2.5 million raised, the event had incredible success raising awareness, especially among the millennial generation. It was a wonderful event, and we felt so grateful to be a part of it. Learn more about Hilarity for Charity and the Alzheimer’s Association. Miley Cirus with the Star of David.